I taught myself to crochet last year. 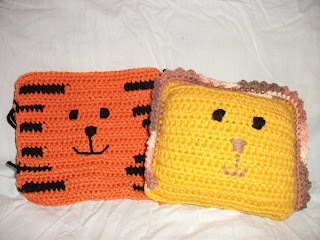 I wanted a new hobby and thought maybe crocheting was something I could do. I went to the craft store and found a kit. It had a few hooks, some other little accessories and a how-to book. I picked a few pretty balls of yarn and went home to see what I could make. It turned out I could make a wicked chain, but that was about it. All I have to say is thank goodness for You Tube! I quickly figured out what I was doing and starting making a few projects. After a few months I realized that I couldn't keep making stuff for the 4 of us. So I moved on to making a boatload of Christmas presents. But after Christmas, then what? That's when I decided I would open my own Etsy store. I am quite excited to announce that my store is now open. But before you go clicking away at the above button, I will warn you that the store is still empty. Unfortunately I fell a little behind and still have a few loose ends to tie up. Yes, pun intended! But I will give you a preview of some of the things that will be in my store shortly. Do you have an animal lover in your house? How about a frog pillow! Lions and Tigers and Bears! Oh my! Does your family have a game night? 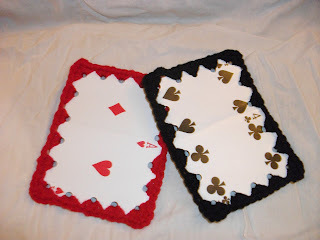 Do you have a card night with friends? to add some color in your house? and things to add that handmade feel to your home. I would like to thank Amy from Keeping Up with the Schultz Family for giving me the opportunity to showcase and promote my store. I am also linking up with Follow Friday, hosted by Midday Escapades, Hearts Make Families, and One 2 Try. Thanks for showing off your cute ideas. I so love the Frog pillow. I am happy you linked up. If you want me to do a review and giveaway for the shop I would love to help you get it going. Let me know. Have a great weekend.. I am so happy and proud of you for opening up your store. Happy Friday! I am one of your newest followers. Your pillows are very cool! Stop by my site www.sixthcentssavings.com to check it out. 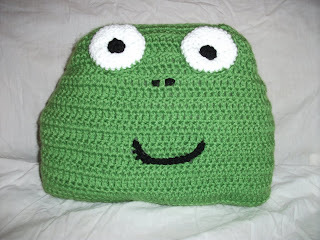 Your frog pillow is dorable! Very cute. You are so talented! Congrats on learning how to sew and for opening your own Etsy shop. I can sew a mean granny square, but that's about it..for now. I like the frog pillow the best. Wonderful and talanted lady..I just hearted you at ETSY...glad to know you and Ill be back to check on those items...Good luck fellow Etsian..!oh im from round Robin..! Those are sooo cute. I can crochet but I have only mastered easy baby blankets and bookmarks. If you get a chance stop by my blog for a chance to win a Real Simple Cookbook! I hope you'll stop by! I look forward to blogging with you. I love to crochet! and I'll be signing up to your shop on Etsy. Way to go! I'm a Follow friday visitor yes I know its saturday. Hi, I am your latest follower from Friday Follow (on a saturday). Please stop by my blog at www.safehomehappymom.com and follow us as well. Stopping by to say Hi and Happy Follow Friday! Now following you! I have a whole bunch of giveaways going on if you wanted to check them out! you are one talented gal! you rock! i'm your newest follower... stopping by from follow friday... just a few days late! can't wait to read more! Congratulations on your Etsy store! 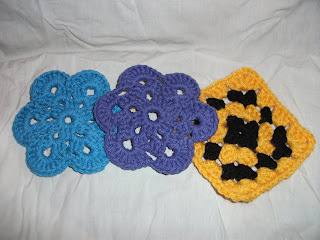 I recently taught myself to crochet too, with the help of a library book & you tube! I love it because I can do it sitting on the couch at night watching TV! I love the frog pillow - good luck with your shop! I'm amazed at your creative animals! How adorable! I had an urge to learn to knit a few years ago, so I went to a yarn shop and a very, very nice lady who came here from Russia, tried to teach me. "Tried" being the operative word. After watching a billion videos and getting help from co-workers I did catch on. It's very relaxing and therapeutic, isn't it? I never got beyond winter scarves though. You, on the other hand, are talented! Nice to meet you, I hope you'll follow me back. hello from FF... better late than never! have a great week. Wow! What cute crafts and idea's. Glad I found you from Friday Follow- Hope you have a fabulous weekend and please come by and check out my blog as well! thanks! I now sell on Etsy! 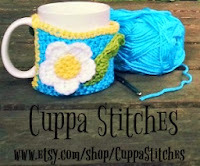 I'd love for you to visit for handmade items for kids, adults, and the home. Back Off!That Chair is Mine! Is This The Example Being Set For Our Daughters? I Want My Daughter Back Please! What I Meant to SayStuff This! Keep An Eye OutIt's Comng!